Aquamoves up for the challenge - Aquamoves – Indoor and outdoor pools, fitness facilities and programs in Shepparton, Victoria. 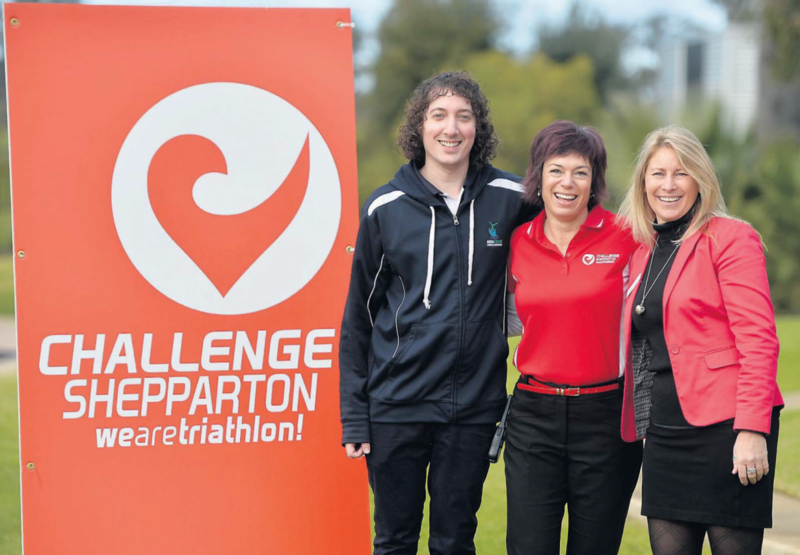 Organisers of the Challenge Shepparton triathlon will donate half the entry fees from entrants in the ‘community team challenge’ to the Community Fund Goulburn Valley. The partnership between the organisations is aimed to encourage companies, clubs and groups to race together as a team and provide an opportunity for them to give half of their $280 entry fee back to the community. ‘‘We want to share as much of the revenue as possible, so if we can get 20 teams to sign up that’ll bring nearly $3000 into the Community Fund, which could go towards scholarships or any other small community projects,’’ event co-ordinator Liz Connick said. The team challenge is designed for groups of two or three entrants that are not quite ready to take on the full-length long course. ‘‘Community team challenge participants will race the sprint distance course, which is a 700 m swim, 30 km bike ride and a 7 km run, so they’re achievable distances for any fitness level,’’ Ms Connick said. Community Fund Goulburn Valley chief executive Cheryl Hammer said the McPherson Media Group had been a long-time loyal and generous supporter of the fund. ‘‘We’re thrilled to be able to partner with Challenge Shepparton again and we’re trying to encourage people to come together, train together and enter the event as a team,’’ Ms Hammer said. Aquamoves Lakeside Shepparton was one of the first groups to sign up to enter a team and will provide training opportunities for entrants in the coming weeks. Article courtesy of The Shepparton News 28 July 2016. Written by Hayden Thomson. Pictures by Holly Curtis. Challenge accepted: James Harrison from Aquamoves, Challenge Shepparton’s Liz Connick and Community Fund Goulburn Valley chief executive Cheryl Hammer are excited about the new partnership that will donate money back into the community.